The Supreme Court on Friday directed the Kerala government to provide round-the-clock security to the two women who, earlier this month, became the first women of menstruating age to enter the Ayappa temple in Sabarimala and offer prayers. The Centre on Friday appointed former Central Bureau of Investigation Special Director Rakesh Asthana the director general of the Bureau of Civil Aviation Security. The government had removed him from the CBI on Thursday, along with three other officers. Congress leader P Chidambaram claimed that the Centre sought to benefit Dassault Aviation by negotiating a new deal for Rafale aircraft with France. He said the Congress wants a Joint Parliamentary Committee inquiry into the agreement. The Rashtriya Swayamsevak Sangh on Friday said the construction of a Ram temple in Ayodhya should begin now so that it can be completed by 2025. The Centre on Friday appointed former Central Bureau of Investigation second-in-command Rakesh Asthana director general of the Bureau of Civil Aviation Security, a day after removing him and three other officers from the agency. 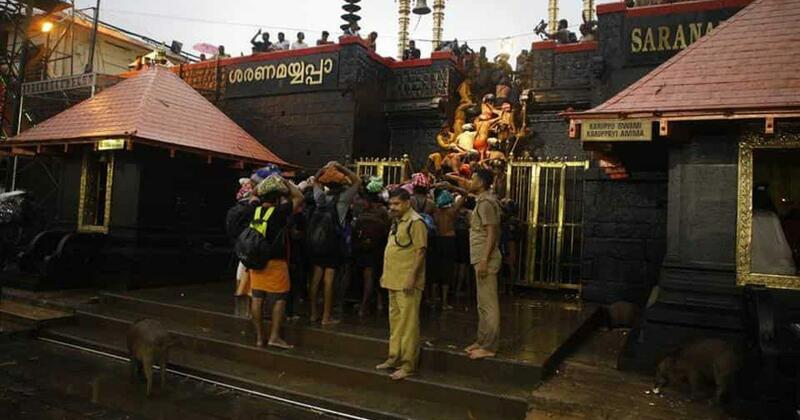 The Kerala government on Friday informed the Supreme Court that a total of 51 women of menstruating age have entered the Sabarimala shrine since the top court in September allowed women of all ages to enter. Congress leader P Chidambaram on Friday reiterated the party’s demand for a Joint Parliamentary Committee investigation into the Rafale jet deal. These 80 drugs are part of a list of 294 drugs that were first banned in November 2007 as they were licensed without the approval of the Drugs Controller General of India. Drug manufacturers challenged the ban in the Madras High Court and managed to get a stay on proceedings. On Thursday, the Supreme Court struck down some restrictions imposed on these establishments under a 2016 law, and said there cannot be a total ban on them. The agency’s move comes a day after it registered a case under the Prevention of Money Laundering Act based on a Central Bureau of Investigation case in connection with the ongoing probe in the alleged irregularities in the allotment of sand mining leases between 2012 and 2016. India, which was ranked 77th on the World Bank’s Doing Business Report in 2018, has jumped 65 places in the last four years. “I have asked my team to work harder so that India is in the ‘Top 50’ list in ease of doing business next year,” the prime minister said. Three grenade blasts have now taken place in Kashmir in the past 24 hours. On Thursday, three police officers were wounded when suspected militants hurled a grenade at security forces near Zero Bridge in Srinagar’s Rajbagh area. The statement was issued in response to the imminent arrest that the activist faces after the Supreme Court on Monday rejected his appeal to quash the first information report filed by the Pune Police against him. Teltumbde was granted protection from arrest for four weeks, during which he can seek bail from a trial court. Two days later, Teltumbde wrotean open letter to the public, asking for support. On January 10, Twitter had announced that it will provide an advertising dashboard that will show expenditures by political parties in India on the platform during the course of the election. Twitter Global Vice President (Public Policy) Colin Crowell said the tool – Ads Transparency Centre – will be available over the next few weeks. The rally, which will take place in Kolkata, is being seen as an effort to unite the Opposition against the Bharatiya Janata Party. Former Prime Minister HD Deve Gowda, Karnataka Chief Minister HD Kumaraswamy and Delhi Chief Minister Arvind Kejriwal are expected to address it, as are Opposition leaders Sharad Pawar, Akhilesh Yadav, Omar Abdullah, N Chandrababu Naidu, Tejashwi Yadav and MK Stalin. A woman who had contracted HIV after undergoing blood transfusion in December gave birth to a girl at a hospital in Tamil Nadu’s Madurai city on Thursday evening, reports said. Doctors said the baby was born underweight but is now doing fine. 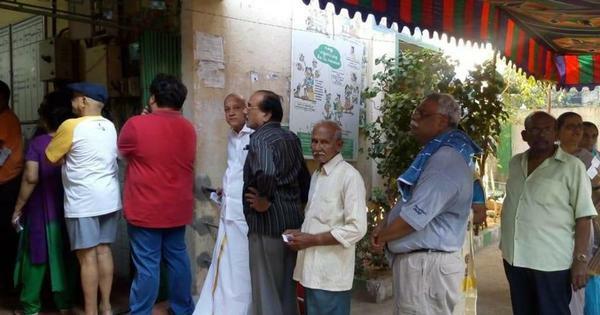 The Dravida Munnetra Kazhagam on Friday moved the Madras High Court challenging a constitutional amendment granting 10% reservation in government jobs and education institutions for the economically weak sections of the upper castes, ANI reported. The party’s organising secretary RS Bharathi filed the plea. The Narendra Modi government’s decision to accept the cost of €1.3 billion for the design and development of 13 India-specific Enhancements was the major reason for the increase in per-aircraft price in the Rafale jet deal by 41.42% compared to the deal signed by the Congress-led United Progressive Alliance government, The Hindu reported on Friday. involving personnel from the district administration, police and State Disaster Response Force – is under way in the high altitude region. Justices Dinesh Maheshwari and Sanjiv Khanna were sworn in as judges of the Supreme Court on Friday. The top court now has 28 judges as against the sanctioned strength of 31. The swearing-in ceremony took place in the chamber of Chief Justice Ranjan Gogoi at 10.30 am on Friday, according to Live Law. The Congress party in Karnataka is seeking to put up a show of strength on Friday at its legislature party meeting later in the day amid reports that some of its MLAs have joined hands with the Bharatiya Janata Party to topple the government. The Bombay High Court on Thursday told investigation teams looking into the murders of rationalists Narendra Dabholkar and Govind Pansare not to depend on the revelations made in the investigations in Gauri Lankesh murder case. The Election Commission on Thursday asked the Delhi Police to investigate a “fake news” item spread about the schedule of the Lok Sabha elections being circulated on social media platforms. Union minister Jayant Sinha took to Twitter to deny media reports in which he had been quoted as saying that the “most likely” outcome of the upcoming Lok Sabha elections will be an unstable government. The Centre on Thursday approved a proposal to end the tenure of Central Bureau of Investigation Special Director Rakesh Asthana, and three other officers with immediate effect.